Australia’s canoe slalom star and the world’s greatest individual canoe slalom paddler of all time, Jessica Fox, has been announced as the recipient of the 2018 World Paddle Awards – Sportswoman of the Year award. 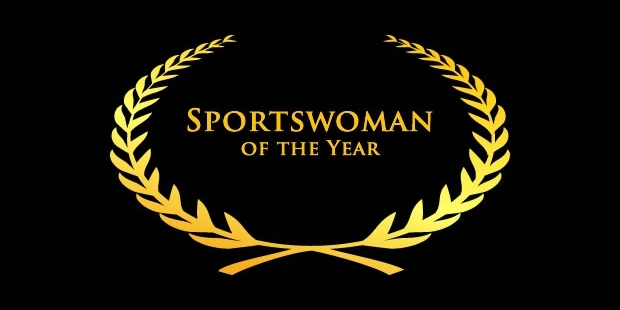 It is the second consecutive year Jessica Fox has received this prestigious award recognising the year’s most outstanding female athlete or female team in any paddlesport. 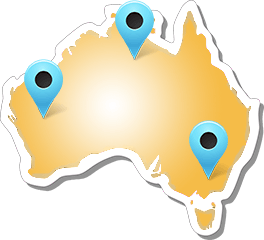 The announcement was made this morning by World Paddle Awards in Europe, tonight Australian time. With winning the 2018 Sportswoman of the Year award for the second time Jessica Fox is now the most awarded athlete at the World Paddle Awards. In 2014 the Academy selected her for the Academy Award and last year she was presented the 2017 Sportswoman award in Silkeborg, Denmark. 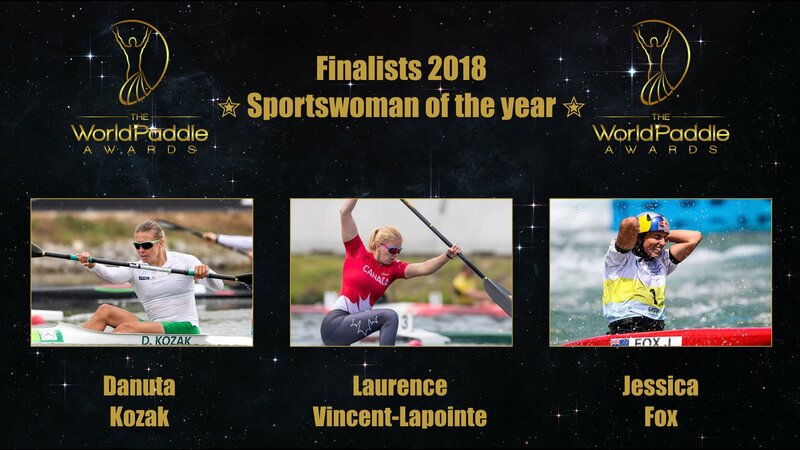 The 2018 World Paddle Awards celebrate the best and most remarkable performances in paddlesport over the past year with the Sportswoman of the Year award further cementing Jessica Fox’s name in sporting history and recognising her historic 2018 season success. Fox’s stature as a veritable giant of the sport appears to have been cemented by her 2018 performances and, with the inclusion of women’s canoe in the Olympic programme for 2020, there is perhaps more to come – as Fox aims to contest both the kayak and canoe competitions at the Tokyo 2020 Olympic Games. Jessica set the tone for a record-breaking 2018 when she started out the season with an unprecedented winning streak, winning six straight World Cup races in only 21 days in June 2018. She was also the first athlete – male or female – to achieve a “triple double” World Cup win taking out the C1 and the K1 consecutively at the first three World Cup events. Her success continued when she finished the 2018 World Cup season unbeaten in the C1 and took home the 2018 World Cup crown in both the C1 and K1. She topped it all by wrapping up the most successful canoe slalom season in history by winning double gold in the women’s K1 and C1 at the 2018 ICF Canoe Slalom World Championships. Winning the women’s World Champion C1 title, Jess became the first canoe slalom athlete to have gone through an entire season undefeatedin a boat class, winning all five World Cups over the 2018 European summer in the C1, the overall World Cup as well as the World Champs. The double golden World Champion crown brought Jess’ individual World titles to seven as well as her overall World Champion titles tally to nine (including team events). This achievement saw her break two records previously held by both her parents. She surpassed her father Richard Fox, who with five individual World titles for Great Britain was previously the most successful individual paddler in history. When she added gold in the C1 on the final day of the World Championships, she also leapfrogged her mother Miriam Fox-Jerusalmi, who had topped the leader board as the most successful female slalom paddler with eight gold medals for France across both individual and team competitions. Then there are the pieces of canoe slalom history that Jessica Fox already held to her name before she even started the season and will hold onto forever. She was the first athlete to win both the K1 and C1 world titles in the same year (2014). 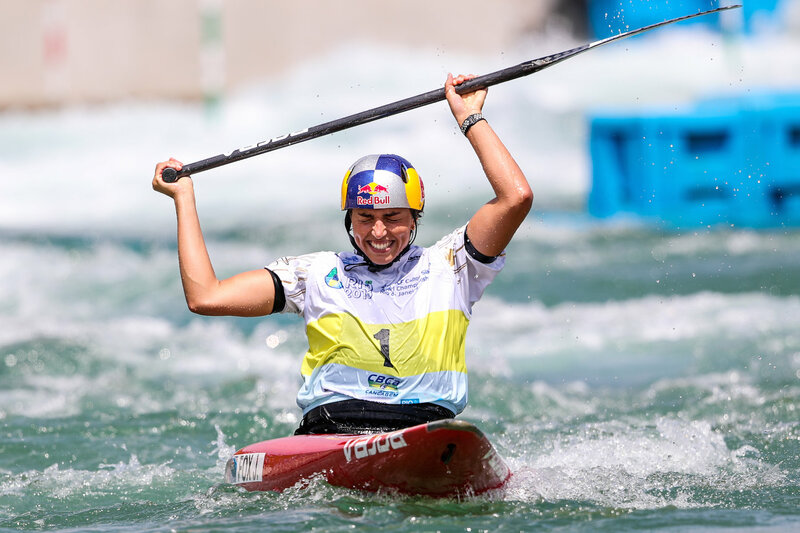 She is the only female paddler to have won three consecutive world titles and this year she made further history by becoming the first athlete ever to win both the K1 and C1 World Cup titles. The most successful female canoe slalom athlete ever. The most successful individual canoe slalom athlete ever. First athlete to win both the K1 and C1 world titles in the same year. The first athlete to win both the K1 and C1 World Cup titles. Without any doubt, 2018 was a season of historic and awe-inspiring achievements for Jessica Fox and one that puts her in great stead as she prepares to go for her first Olympic gold at Tokyo 2020. And with the C1 new on the program in Tokyo 2020, there will even be the chance for double gold. 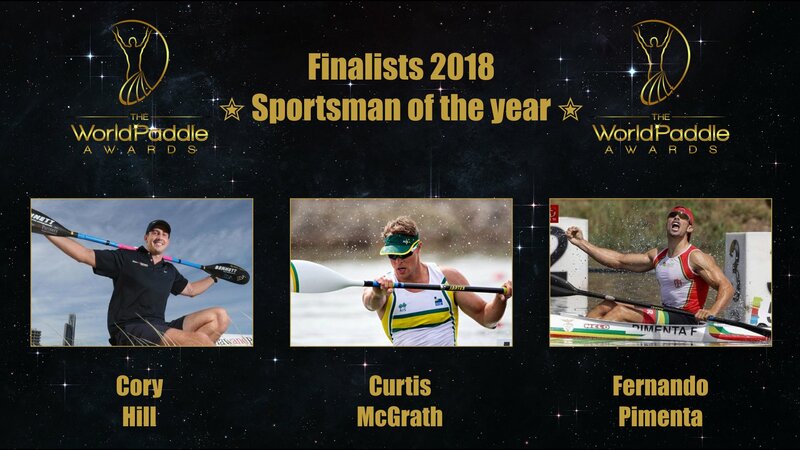 Including Jessica Fox, Paddle Australia had three paddlers amongst the 2018 World Paddle Awards finalists with Paralympic Champion, dual 2018 World Champion and eight-time World Champion Curtis McGrath (QLD) also advancing to the top three finalists for the 2018 Sportsman of the Year award. McGrath was the first ever Paralympic paddler who won the Sportsman of the Year award in 2016. The finalist nomination recognised McGrath’s success 2018 season that saw him winning both the KL2 and VL3 categories at the 2018 ICF Canoe Sprint Paracanoe World Championships. Curtis McGrath has now been unbeaten for five years in the Va’a, and three years in the Kayak and is leaving no stone unturned on his quest for double gold in Tokyo 2020. 2017 ICF Ocean Paddling World Champion Cory Hill (QLD) was also amongst the top three Sportsman of the Year finalists after a successful season with numerous wins across a range of races and series including the Ocean Racing World Championships and Australian Ocean Racing Series as well as at the 2018 Molokai Challenge. In other recognitions, Paddle Australia’s canoe slalom coach Myriam Fox was nominated for the Foundation award while canoe slalom coach and blogger Julian Billaut together with South Australian photographer Carolyn Cooper were nominated for the Media Professional Award. 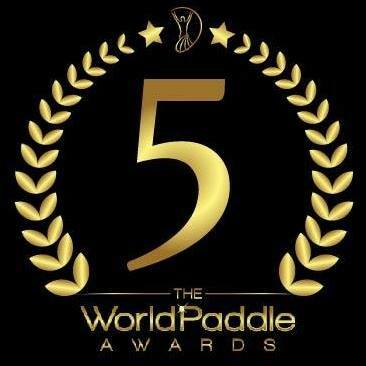 For the first time, the World Paddle Awards, now in their fifth edition, were announced online instead of in front of an audience of the great and the good of the canoeing world, as in previous years. The revised format reflected the organisational difficulties encountered in the proposed host city, London. The World Paddle Awards (WPA) is held annually, celebrating the most remarkable men and women from the world of paddlesports along with their achievements from the previous calendar year across seven award categories. The first-ever World Paddle Awards took place in Augsburg, Germany five years ago. Since then, they’ve also been held in Spain and Portugal, attracting large audiences and even bigger crowds online. 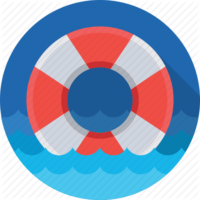 The votes have two key parts – all the nominees are put forward by public vote. Although some sports personality awards have been subjected to online campaigns, and the WPA is no exception, with some countries and federations pushing candidates in each category, a filtering process takes place with a public vote taking place in parallel to two rounds of voting by members of the WPA Academy, the august body of paddling experts and enthusiasts, who ensure that they are representative of their disciplines and also worthy of nomination. With categories diverse enough to reflect the sporting stars and those who make it all possible, from event organisers, to venue managers, media personnel, photographers, and club coaches, there are few aspects of the sport that are not represented. Bringing them together is what makes the awards unique – there is no other convening event for the entire paddling world. The awards have also attracted strong sport and sponsorship from numerous paddlesport businesses, including Dansprint Ergometers, NELO Kayaks, Jantex Paddles and many other equipment providers.